In this modern era, many people have switched their businesses towards the Internet. This gives them a greater reach towards their audience but only when they know how to reach them. Here, digital marketing plays a significant role in advertising ones’ business. Digital marketing is a new kind of subject that many people are unaware of in the country. Those businesses who want to get into the e-business environment would need strong digital marketing services to compete with the leaders in the space. 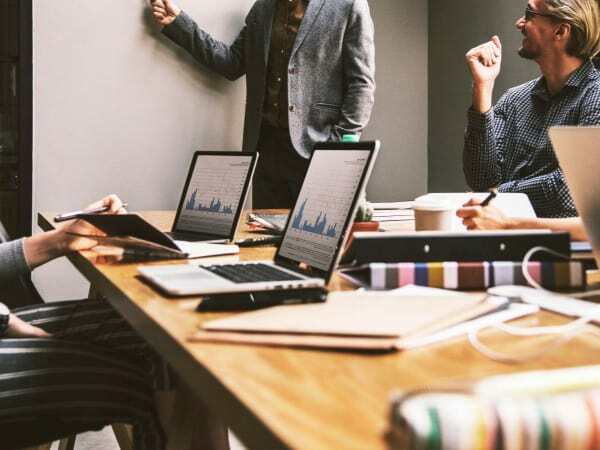 To get over this hurdle, many businesses either hire a digital marketing expert or take expert help from the digital marketing agencies in the neighborhood. The former might be difficult as experts in this field are pretty challenging to find. So, many tend to the latter option. 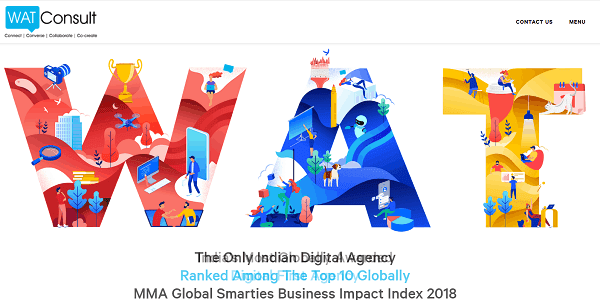 In this article, we're going to guide you and tell you about the 10 Best Digital Marketing Agencies in Bangalore, India, the major IT hub of the country. Working across all the platforms of media like digital, print and broadcast, Geek Creative Agency is an organization set up in Indiranagar. They have expertise in advertising, 360 Degree Campaigns, Online PR, E-Commerce, Web Analytics and many more. Serving many popular and known brands across the country like Apple, Cisco, Myntra, Flipkart and many more, they have proven their work. Being almost a 5-year old company, DigiMark Agency is one of the top digital marketing agencies in Bangalore. With over 50 successful projects and confident services, they have served many clients including Real Estate companies, Health Care Organizations, Non-Profit Organization and many more. Using the latest form of technology and creative techniques, they have gained expertise in services like SEO, SMM, SEM and many more. Serving over 17 clients in over 7 countries, Openthrive is another digital marketing agency that is situated in Sahakar Nagar. They are in inbound marketing company which expertise in generating traffic, leads, and sales. Moreover, this company specializes in automation as their focus on it is a lot more. Adsyndicate is a 360-degree communication agency with expertise in several advertising departments like digital marketing, events, BTL, print and design service. With over 25-years of experience, they have served very well-known brands and organizations like Tata, State Bank of India, Isuzu and many more. AliveNow is another top digital marketing company which made it to the Businessworld Magazine’s list of 25 hottest start-ups. Achieving this kind of milestone in only 2 years shows how much potential the organization has. Moreover, the CEO of the company was also listed in India Today’s cover in 2012 of being the youngest CEO of the top 20 entrepreneurs of the nation. By reading all this, you would have guessed the potential of this agency. With 9-years of service in the industry, DigiCliff is another one of the top digital marketing agencies in Bangalore.. It is an organization that is a Google Premier Partner which means they have successfully managed the advertising campaigns for their clients. Moreover, the Premier status is the most prestige and highly recognized level of Google recognition that any organization could have. So, you can also guess their potential. Claiming to be India’s most globally awarded agency, WATConsult is an agency that is located in Vittal Malya Grant Road. This agency has expertise in various fields including digital and social content, digital video production, digital business solutions, E-commerce consulting, digital experiences including AR and VR, and many more. Along with that, they have also collaborated with many well-known companies like Godrej, Warner Brothers, Thomas Cook, Honda, Only and much more. Another Google Partner Certified agency in this list, Webenza is located in Kodihalli. Please bear in mind that this certification is different than the DigiCliff’s one as this agency’s certification is the lower level of recognition than the one of DigiCliffs’. Ranging from 360-degree web interfacing on various platforms to game analytics, it has much expertise in various fields that any other company would love to see. Being a part of the Dentsu India Group and employing just over 200 digital marketing professionals across the country, WebChutney is a Richmond Road based agency in Bangalore. It has expertise in website design, online advertising, social media, SEO, and mobile marketing services with a very creative and innovative process. This lead generating agency known as DigitalLove is focused in Domlur in Bangalore. Being another Google Certified Partner in the list, it specializes in many areas like SEO, lead generation, lead conversion, and SEO ranking. Again, bear in mind that its level of Google Certification is as same as the one on Webenza. These were some of the Best Digital Marketing Agencies in Bangalore that you can find and visit to consult them for your business. All the agencies mentioned in the article expertise in most of the subjects that are necessary for a business to thrive in the online space. Ranging from agencies serving to top companies to being an agency that is certified by Google at the highest level of marketing, there are numerous options to help you reach another level in the online space. So, make sure if you are choosing one, go for the one which suits you the best. Other than that, please do leave your valuable suggestions and comments if you think we missed something.